We provide a wide range of landscaping and gardening services in London starting from keeping your lawn looking great at all times to designing and diverting a messy bushy backyard into a lovely place to enjoy and relax. The friendly and professional team of gardeners will maintain and look after your precious garden with lots of effort, or why not even take care of a new garden complete transformation. 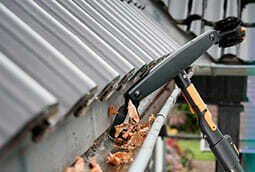 The gardening services prices are affordable and easy on the pocket. We can beat any quote! A garden is an essential part of any property and keeping it looking good in shape is a great proud to any property owner. However gardening takes time and needs knowledge; but… accept it- not many people nowadays have the time for it. For top quality garden design, maintenance and care choose the experts. FastKlean works in partnership with Fast Landscape Gardening. So why don’t you give us a call now at 020 8884 9149 for a free estimate on our landscaping and gardening services in London and let us bring a smile on your face!